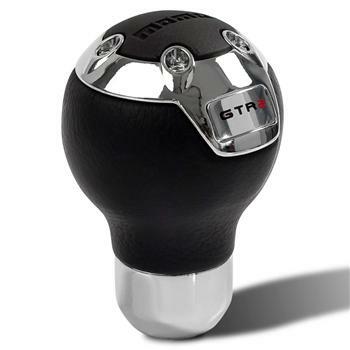 MOMO Shift Knob - GTR2 UNIVERSAL - Dezod Motorsports Inc - Home of the automotive performance enthusiast since 2002. Top Grain black leather with chrome and rrubberized momo logo insert. GTR2 emblem.